Kare seems to say that it's time for icons to be more glanceable, better for regular rather than novice users. If you've used a computer, you've seen Susan Kare's work. She was a member of the original Macintosh team at Apple and drew the lion's share of the Mac's system icons; her post-Mac work has included art for Facebook, Microsoft, and many others. Her keen eye for design even led to her being summoned to testify in Apple v. Samsung. 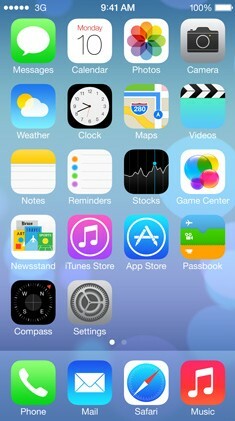 Criticisms of the iOS 7 icons have cropped up in many places. The Game Center icon is nonrepresentational blobs of colors, the Camera app looks like a piece of bad clip art, Settings is some kind of weird manhole cover thing, and so on. But Kare's take that icons should be symbolic rather than literal has a tremendous amount of merit. Discarding photorealism and sticking with bold shapes and colors challenges designers to come up with more meaningful symbology and ultimately results in clearer icons.